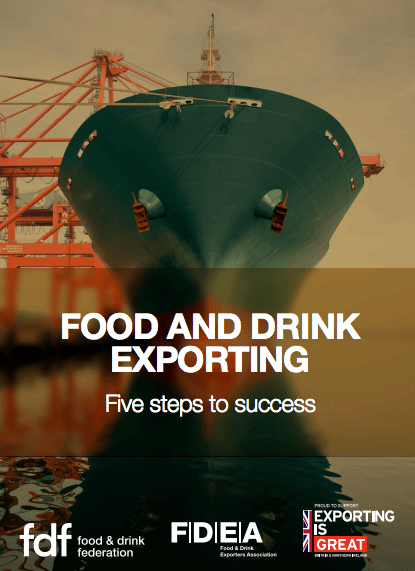 Open to Export is partnering with the Food and Drink Exporters Association (FDEA) and the Food and Drink Federation (FDF) once again for a month of sector-specific webinars, content and events. 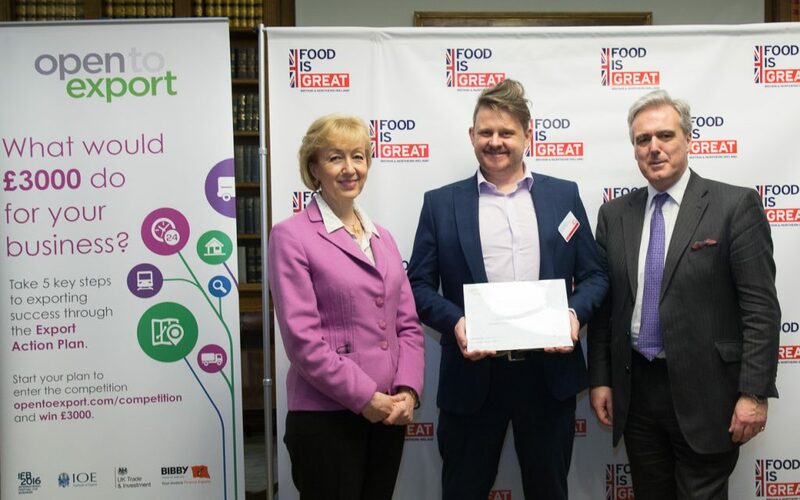 Food and drink is a significant sector for the UK’s exports and we support the FDF and FDEA in their work towards improving the UK’s value-add exports in the industry leading up to 2020. 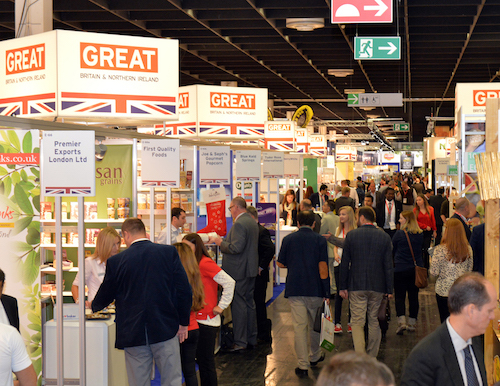 The Food & Drink Exporters Association (FDEA) give practical advice on how to choose the trade show that will create most opportunities for your business. Hear of the benefits of an international show in Europe from SIAL 2018, plus the opportunities in Asia from UBM Allworld. This information note provides an update on the implementation of the Chinese Food Safety Act 2015 and in particular new measures that will apply to food and drink companies which export products to mainland China. We talk to Rik Garner from First Chop Brewing Arm, 6 months on from their win in the Export Action Plan competition for the sector at IFE 2017. You can enter the next competition with your strategy for Brexit here for the chance to win £3000 cash and more prizes towards your export plans and strategies for Brexit. Programme of UK pavilions at international trade exhibitions. Pdf attached of forward programme which might be helpful. Access to a number of Professional Partner organisations with exclusive member benefits. Given BREXIT, it is now more important than ever for UK exporters to maintain strong ties with our European partners. 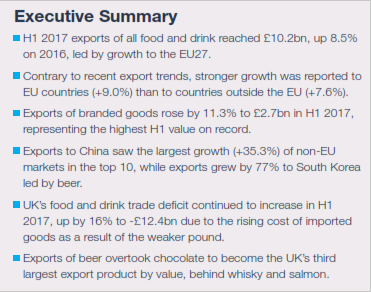 The EU is of vital importance to the UK food and drink industry – with over 70% of our exports going to the EU in 2016. FDEA works with its members to ensure Government are aware of the issues being faced and the importance of maintaining access. FDEA, in partnership with PS8 Ltd, organises a programme of UK pavilions at international trade shows. 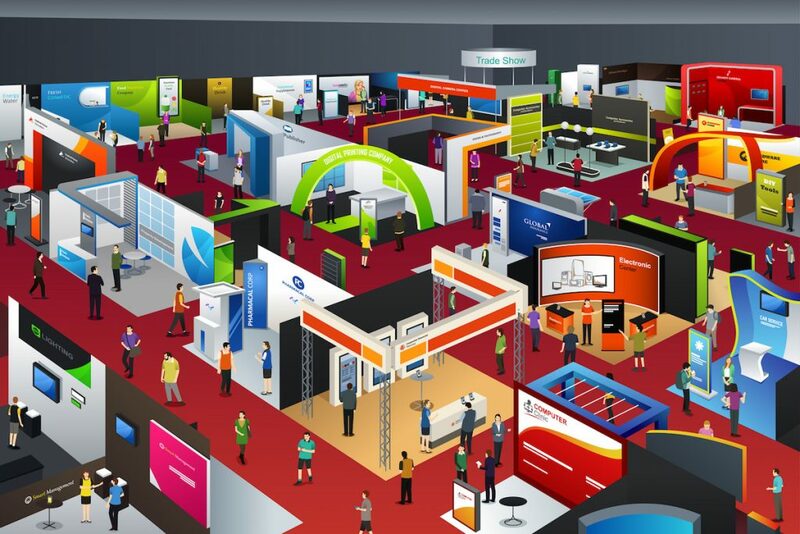 Exhibiting on a pavilion provides a convenient and high profile way to exhibit for companies wishing to meet with new or existing customers. Many of the shows in the programme attract financial support in the way of grant from Department for International Trade (DIT). 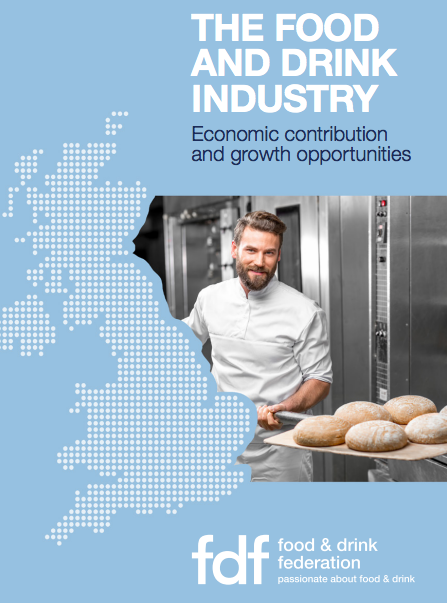 FDF commissioned Grant Thornton to undertake an independent research project identifying both the opportunities available to manufacturers and the barriers to growth. This was done through the collation of the latest quantitative data and by speaking at length with FDF members to add a qualitative perspective. Read case studies of successful exporters in the sector, compiled the FDEA and FDF.